The Express L6 now harnesses the full potential of a 72-volt system to allow for maximum range. Over 22 HP from the AC motor offers unmatched power and efficiency! 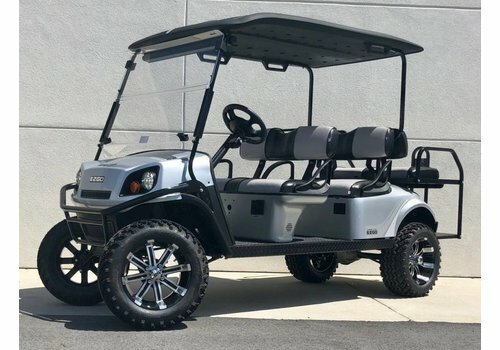 Stop by and see why the Express L6 is the best six passenger on the market. 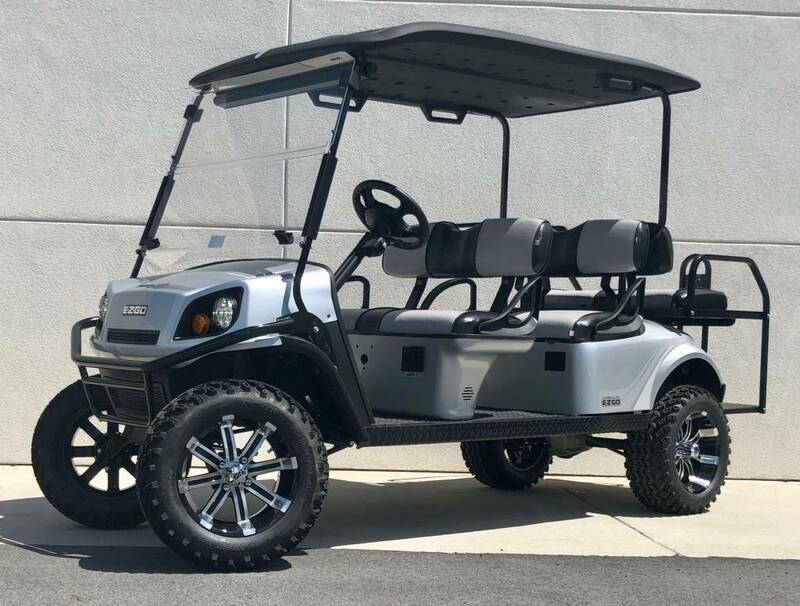 The E-Z-GO Express S6 is hands down the most popular vehicle for Sandestin! Now with an upgraded 22.5 HP AC electric motor & 350 amp HO controller, range anxiety & power will never be a concern. 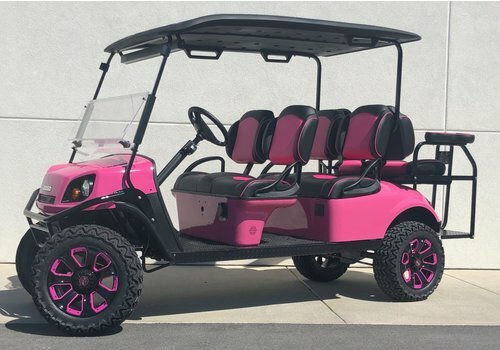 Contact us to upgrade this vehicle to street legal today! 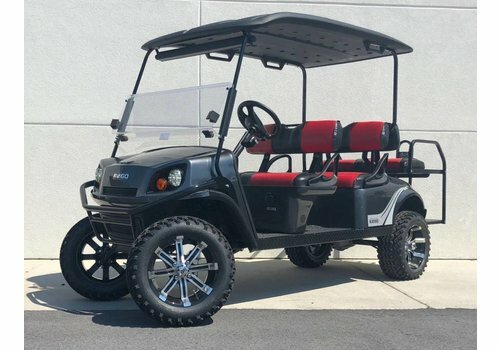 The E-Z-GO Express™ L6 is hands down the most popular vehicle on the market today! 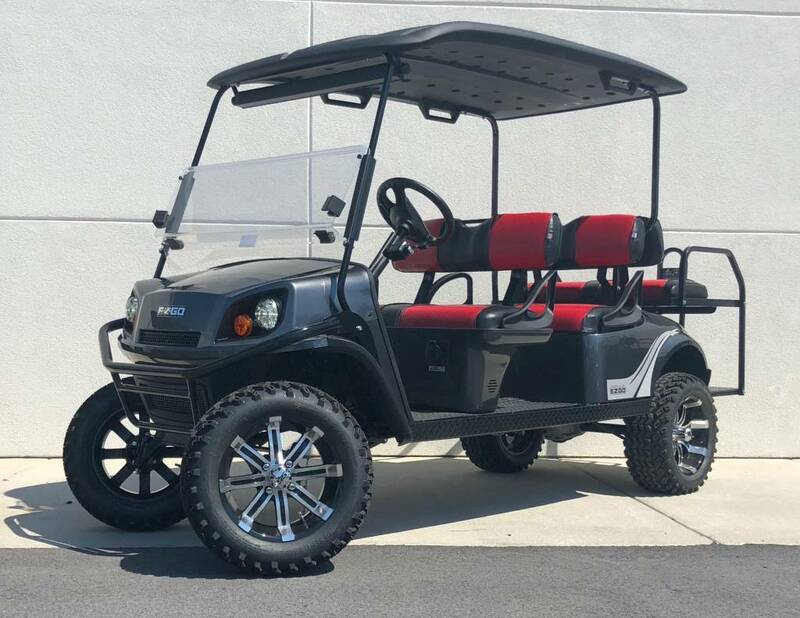 With 22.5 HP electric motor & upgraded 350 amp controller you can conquer just about anything. Contact us to upgrade this vehicle to street legal today! The brand new E-Z-GO Express™ L6 72-volt 22.5HP AC power-train offers enhanced power and efficiency! 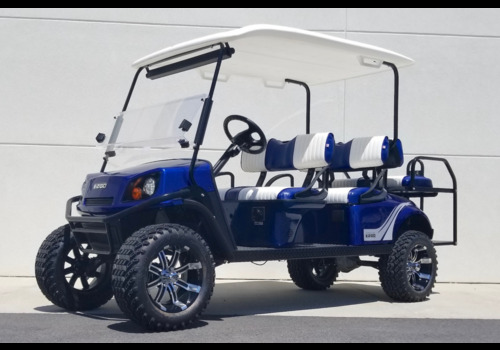 Stop by today and see why the Express™ L6 is quickly becoming the top selling six passenger vehicle on the market. Wow!! Limited Edition 'Perfect Pink' with custom seats and matching inserts on a beautiful set of custom wheels makes this cart truly one of a kind. Come feel the difference of a 72 Volt power system propelling a 22.5 HP AC motor.